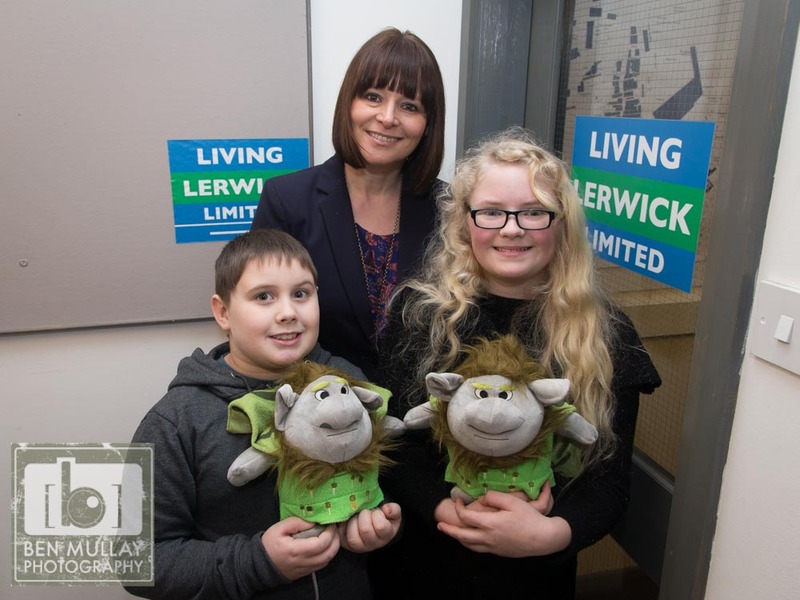 Living Lerwick is delighted to announce Liam Stewart (8) and Leah Johnson (11) as winners of the Spot the Trow competition, held as part of the 2014 Winter Festival. Liam and Leah worked together to find the Grand Pabbies, who were hiding in shop windows throughout the town centre, and won a bumper prize of gift vouchers and goodies from participating shops, as well as a Grand Pabbie each. They are both excited to have won the prizes and said they had a great time seeking the trows out, as some were tricky to find.